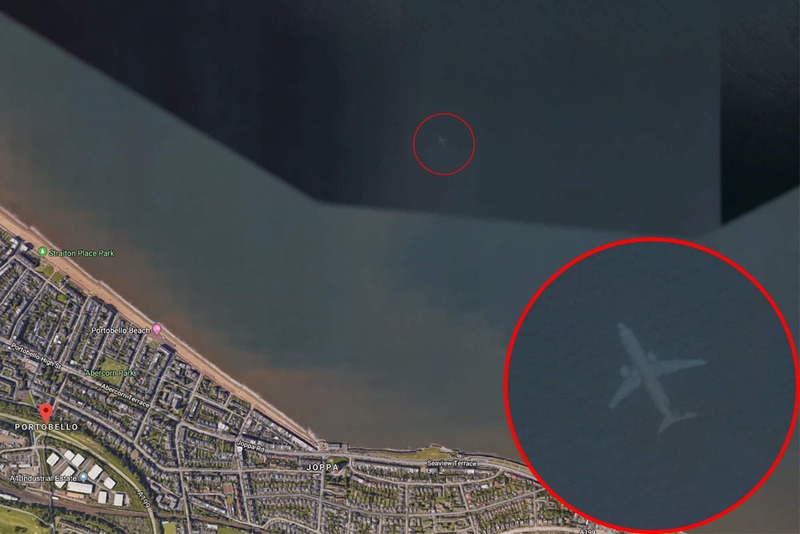 A shocked dad in England couldn’t believe his eyes after spotting a submerged plane on Google Earth. Robert Morton, 55, found the incredible image under the sea near Edinburgh. The father of three, from Doncaster, said the image appears to show an airliner under the waves. Morton, a mechanical fitter, said: “I was just looking on Google Earth on Monday and, by chance, I came across the picture of the aircraft. “It looks like it is the sea, just off the coast of Edinburgh. It looks like it is underwater. The bizarre image can be found around nine miles from Edinburgh airport, off the Scottish coast near Portobello. Morton says he has never heard of a plane crash in that region — and suggests there is an earthly solution to the mystery. Google has been asked for comment.